The Georgetown Nanoscience and Microtechnology Laboratory (GNuLab) is a shared use facility open to researchers in the Georgetown University Main Campus and Medical Center, as well as to external researchers. 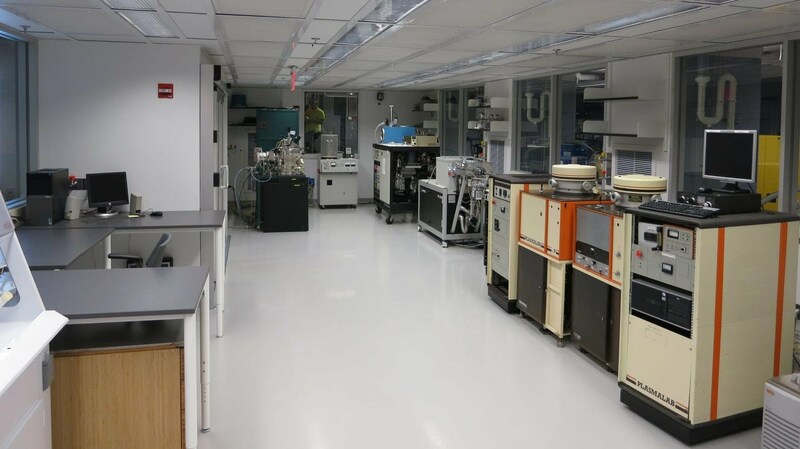 This 3,300 square foot clean room is located in the Department of Physics in Regents Hall and includes state-of-the-art instrumentation for fabrication and characterization of materials and electronic devices. Users are assisted and trained in their operations by Dr. Jasper Nijdam. We encourage all potential users to browse through this website to check the list of instruments available. If you are interested in using this facility, please contact the GNuLab director, prof. Mak Paranjape. • Carbon nanotube sensors: gas monitoring, diabetes.